Pancakes are a pretty big deal around here on weekends, mostly because they are the perfect vessel for copious amounts of maple syrup. When we were asked to take part in a family bloggers trip to explore the Waterloo Region, we jumped at the chance. What a great day for all of us! 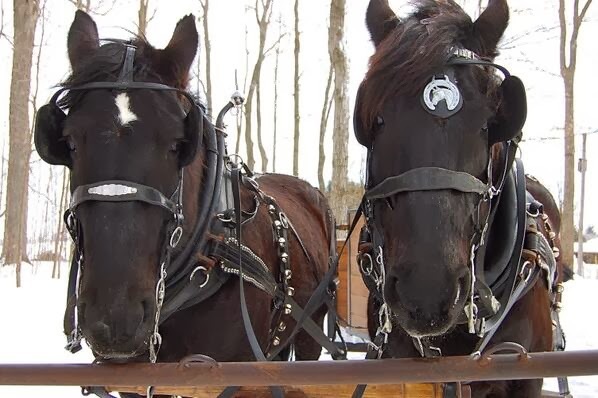 It started with a horse-drawn sleigh ride through the Maple SugarBush at Martin's Farm with our equine companions, Duke and Mikki. Mmmmm... Maple toffee on snow! I'm a little ashamed to admit that despite living my whole life about an hour away from the Waterloo Region I have just never gotten around to doing a tour to see how maple syrup is made. I know, how dreadfully un-Canadian of me! Thankfully, I have rectified this for my own kids, though granted a little too early for Little Cat Z to have much recollection of it. That's OK, now that I'm reminded just how close to home it is and how much fun can be had, we can make this trip an annual event for his benefit. Also, it turns out I'm a "medium" maple syrup kind of gal, but I could be talked into an amber if the pancake is right. After a break for some maple toffee on snow and hot apple cider to warm us up, we headed off to the St.Jacobs Farmers Market for a tasty lunch. The Husband highly recommends Grandpa’s Soft Pretzels, and this is not a man whose recommendations should be taken lightly, particularly not when it comes to baked goods. St. Jacobs is so quaint, one might think time forgot it. This is probably due to the large local Mennonite population, a group we learned more about from TheMennonite Story at the St. Jacobs Visitor Center. M is a bit too young to "get it" but The Husband and I found it very interesting. The next stop, however, was a little kids dream. 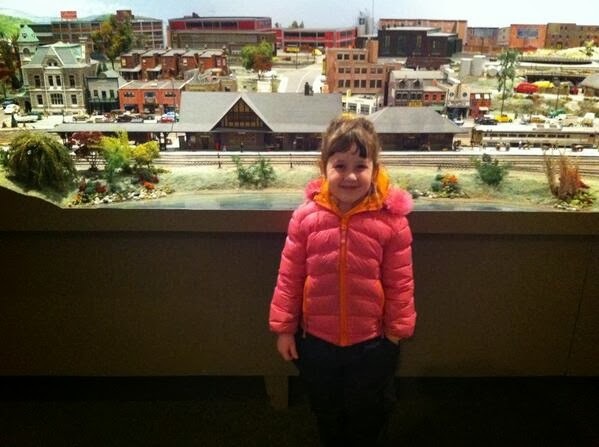 You’ll have to see the St. Jacobs & Aberfoyle ModelRailway to believe it. Model building isn't a hobby I could ever take up with any success because of skills required. Like patience, of which I have none. But when people who love it get together to build something like this, the results are spectacular. Another highlight of the day was sampling craft beers at Block Three Brewing. 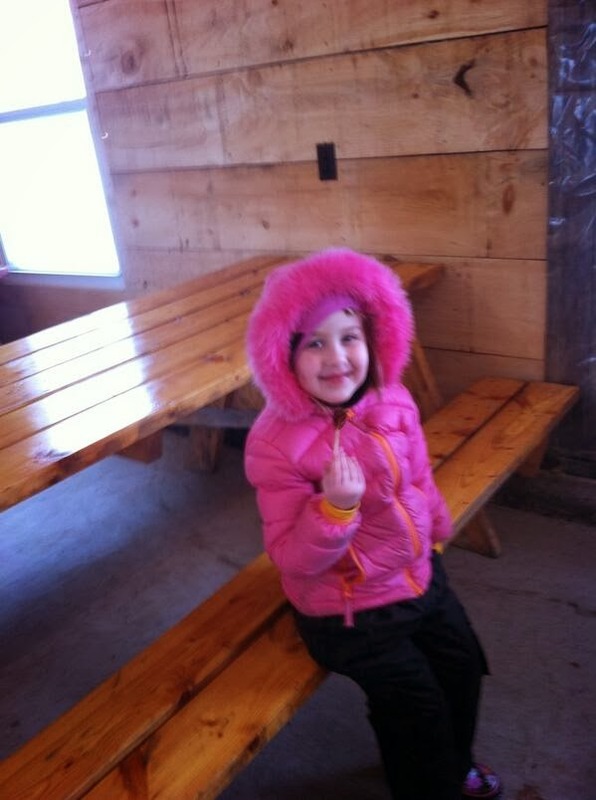 The Maple Sugar Rush experience was a great way to spend a day with the littles. It's amazing to think about just how much there is to see and do just a short drive away from home. Family Day is coming up and it’s only an hour away. Better still, make a mid-week adventure during March Break. I'm not into crowds so I really enjoyed the weekday adventure, but if you don’t mind being one of the masses and you're really into your maple syrup, go check out the Elmira Maple Syrup Festival this spring. Disclosure: We received complimentary meals and admission to attractions from the Waterloo Regional Tourism Marketing Corporation as part of this blogger tour for review purposes, but otherwise no compensation was received for this post. All opinions expressed are my own.